The whole world’s expectations are focused towards the other big release by Apple, which is, obviously, the next iPhone. While the details are scarce around the upcoming iPhone 5 specs, design and features, we still managed to gather up some important information for you. The thing is that Apple is already internally testing a next-gen iPhone. Expectedly the design of the next iPhone will be completely different in form factor of iPhone 4 and iPhone 4S – at least not to give competitors the evidence to criticize the similarity in their ads, like Samsung did. Seemingly an inevitable assumption is that upcoming iPhone 5 will contain LTE, as executed within the new iPad released last month. However, we can never be 100% confident – predominantly with an Apple product that is not unveiled yet, but we can suppose that 4G will be on Apple’s sixth iPhone installment. According to the recent reports, A5X chip is what the iPhone 5 prototype is being used primarily to test on. As usual, the boasting 1GB of RAM will also be present, while the new A5X processor would speed up an already responsive device. Moreover, the reports claim that iPhone prototypes house a modified iteration of the A5X’s S5L8945X architecture and are currently operating under the N96 codename. The thing to note here is that N95 was the name used to the release last October of the iPhone 4S. One more great thing the recent reports bring up is the upcoming possible iPod Touch upgrade. 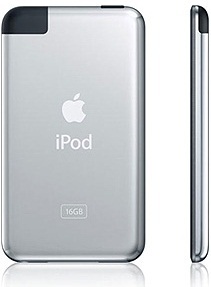 Apple is suggestively planning fifth-gen touch, at this time being mentioned to as iPod 5,1 internally. Being such a target for the causal gamer and offering iOS experience on budget, iPod still stays as an important product for Apple and is suggested to feature a dual-core processor like the one the iPhone 4S boasts with. To be the first to know more about Apple’s upcoming products, like us on Facebook and follow us on Twitter and make sure you don’t miss any important notice.